Oil and gas production, refining, petrochemical processing, and mining are all industries where flammable hydrocarbon emissions or leaks may occur in a diesel engine’s operating environment. If you work in or provide services to these industries and you are around a diesel engine, you need to be aware of the risk to your crew and equipment from a phenomenon known as diesel engine runaway. In order to understand this, it is important to understand how a diesel engine operates. Diesel engines do not usually incorporate a throttle valve to limit air into the engine, as their speed is primarily driven by the rate of fuel flow. The risk occurs when the diesel engine is operating in an environment that contains airborne hydrocarbons or other combustibles. This can occur from any number of sources, such as gas pocket vents, fuel leaks, atomized oil spray, or even grain dust. In this state, the engine experiences uncontrolled combustion, which may lead to an overspeed condition and catastrophic engine failure or backfire. The risk continues to rise from there, as the engine’s behavior can then translate to ignition of the local atmosphere, which has been shown to cause explosions. 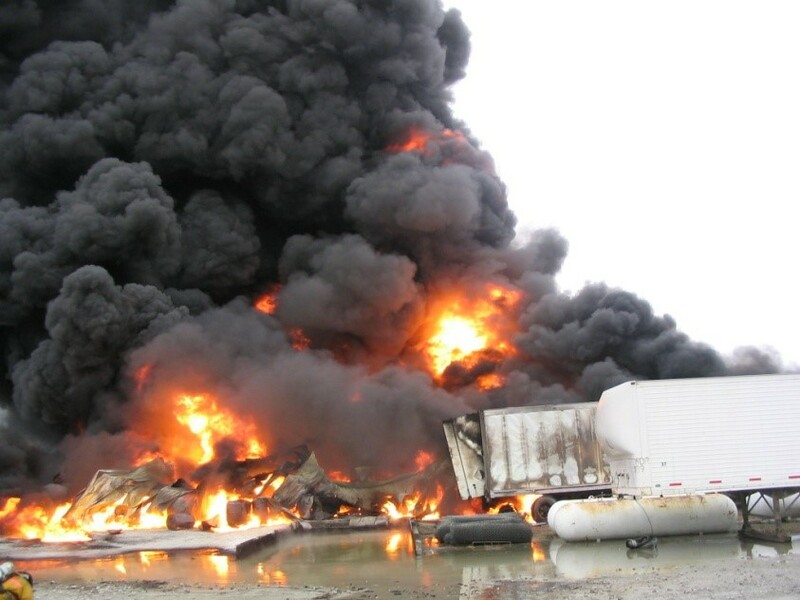 In addition to the potential for explosion, the equipment driven by the engine may also experience unpredictable behavior and become a risk to personnel in the vicinity. Since the early 2000’s, the North American oil and gas industry has seen dozens of deaths and hundreds of injuries related to diesel engine over speed events. In that time period, the same industries have also lost hundreds of millions in equipment damage and financial losses. This is entirely preventable. PowerHalt – Air Intake Emergency Shut off valve by Pacbrake will starve the engine of air: safely and effectively shutting it down, protecting your crew and equipment. Pacbrake is recognized as a leading manufacturer in the design of engine brakes, exhaust brakes and various valving solutions for diesel engine applications. Current with today’s standards, Pacbrake develops valves that push the limits on environments, temperatures, torques and control strategies. With over 2 million valves in service to-date across a wide range of markets and applications, Pacbrake has the experience to ensure the Powerhalt product line is designed to the highest industry standards. Behind every Pacbrake product stands a team of qualified engineers, state of the art CNC manufacturing processes and an internationally recognized ISO 9001:2015 quality management system. Each product is backed by the best warranty in the industry. PowerHalt valves are available in sizes ranging from 1.75” to 5.5” with various actuation and control options. PowerHalt is a complete air intake shutdown system designed to prevent catastrophic damage against diesel engine runaway. Eclipse E-Line Services Inc. is pleased to announce that we have entered into a License and Technology Transfer Agreement with Flodim to offer their suite of Cavern Logging instruments to the Canadian market.